Defendants: Takeda Pharmaceuticals; Eli Lilly & Co.
Drugmaker Takeda Pharmaceuticals agreed to pay $2.4 billion to settle about 9,000 lawsuits over life-threatening injuries caused by its Type 2 diabetes drug Actos. The 2015 settlement was one of the largest Big Pharma settlements in U.S. history. More than 10,000 lawsuits accused Takeda Pharmaceuticals of failing to adequately warn patients of the risk of bladder cancer and other side effects associated with its Type 2 diabetes drug Actos. 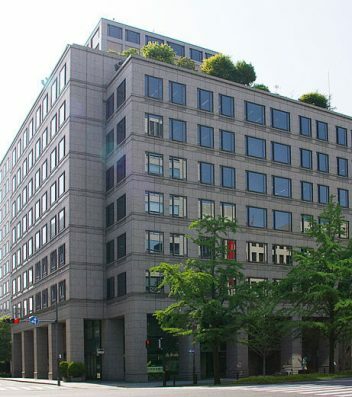 Without admitting guilt — and continuing to stand by the effectiveness of Actos — Takeda settled around 9,000 claims for $2.4 billion in 2015. Today, Actos litigation is mostly inactive. A federal court that once coordinated thousands of Actos lawsuits stopped accepting Actos cases in April 2018. Drugwatch’s legal partners are no longer taking Actos cases. At one point, more than 5,000 federal cases were part of the Actos multidistrict litigation (MDL) in the U.S. District Court for the Western District of Louisiana. MDLs are how federal courts manage large numbers of lawsuits that involve the same or similar issues. Juries ordered Takeda to pay $22 million to injured Actos users before the drugmaker announced a $2.4 billion settlement. Another 4,500 Actos lawsuits were filed in various state courts, including Illinois, Pennsylvania, California and West Virginia. Nine cases went to trial before Takeda announced its plan to pay up to $2.4 billion to settle Actos lawsuits. Trial juries had ordered Takeda to pay more than $22 million to injured Actos users. Judges threw out at least two of the verdicts, but an appeals court reinstated one of them. When announcing its settlement plans, Takeda said the company would resolve seven of the nine previously tried Actos cases, which had been in various stages of the appeals process. The Actos MDL closed in April 2018 because the majority of the cases in the MDL were resolved by the settlement. Actos users blamed the drug for several life-threatening side effects. In lawsuits, patients and family members sought compensation for conditions including congestive heart failure, bladder cancer, liver failure, chronic kidney disease, bone fractures and lactic acidosis. The majority of Actos-related lawsuits claimed Takeda, the drug’s manufacturer, and Eli Lilly, the drug’s marketer, knew about the risk of bladder cancer and other side effects but did not warn the public. In 2011, drug regulators in France and Germany ordered doctors to stop prescribing Actos following a French study linking the drug to an increased bladder cancer risk. In 2012, former Takeda employee Dr. Helen Ge sued the drugmaker, accusing the company of hiding Actos side effects information from the FDA. Ge, who worked for Takeda as a safety consultant in the pharmacovigilance division, said the company knew about the drug’s link to at least a dozen types of cancer but refused to recognize it. The lawsuit was dismissed later in 2012 after a judge’s order allowed patients to join the MDL by filing their lawsuit directly with the Louisiana court. Jurors in November 2014 concluded Takeda officials intentionally destroyed files about the development and marketing of Actos. The West Virginia jury ordered Takeda to pay $155,000 over the destruction of documents about Actos’ link to bladder cancer. In April 2014, a Louisiana jury awarded $9 billion in punitive damages and $1.5 million in compensatory damages to Terrence Allen, a former shopkeeper from New York who said Actos caused his bladder cancer. It was the fifth Actos case to go to trial but the first in the federal Actos MDL. The Allen case was designated a bellwether trial. This is the name given to the first trials in MDLs. Bellwether cases are intended to help the parties determine whether to settle. The jury found Takeda 75 percent liable and Lilly 25 percent liable, awarding Allen $6 billion in punitive damages against Takeda and $3 billion against Lilly. A judge later reduced the total to $36.8 million. Takeda announced in April 2015 that it would pay up to $2.4 billion to settle Actos lawsuits. By September 2015, more than 96 percent of people suing the company had signed up to participate in the settlement, Takeda said. The amount awarded to claimants was calculated using a “points matrix,” according to the Master Settlement Agreement. Each claim was designated points based on certain criteria. The more points awarded, the more money a claimant could receive. People eligible for the settlement payouts included those who alleged they had bladder cancer and first used Actos prior to Dec. 1, 2011, which is when the FDA required Takeda to update the drug’s label. This included people with pending lawsuits and those who hired a lawyer to assert a claim within three days of the announcement of the settlement. Additional risk factors for bladder cancer, including smoking.